The Workplace Relations Commission had a busy year dealing with 15,000 complaints by employees. 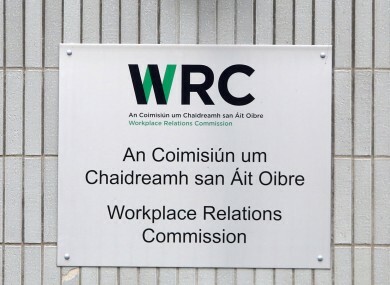 OVER €1.5 MILLION in unpaid wages have been reimbursed to people who brought their employers to the Workplace Relations Commission (WRC). Pat Breen, Minister of State for Employment and Small Business, said that the addition of the new hearing locations in Donegal, Mayo, Kerry, Monaghan and Kilkenny is good news for workers nationwide. In its first report ever issued in March last year, it found that there was €665,208 in unpaid wages returned to workers. However, this was over a six month period. Just 513 complaints were made in that time. The Workplace Relations Commission was established on 1 October 2015. It was designed to speed up labour court issues which had become complex and which had been made up of a number of overlapping State bodies. It was decided to set up the WRC in 2015 to make the process simpler. The WRC has been at the centre of some high-profile cases in the last 12 months, most recently meeting with both sides involved in the Bus Éireann dispute. However, it has come in for some serious criticism. Although it was designed to “streamline” industrial relations disputes, there are people who have been waiting years for their case to be called – seemingly falling between the cracks when the new system was set up in 2015. Breen added that the report presented “clear evidence” that the decision to set up the WRC was the right one. He specifically pointed to the report’s findings that 75% of complaints are now heard within five months. This is very important in terms of the speedy delivery of justice for all concerned and this outcome was a cornerstone of the reform process. Email “€1.5 million in unpaid wages handed back to workers who challenged employers ”. Feedback on “€1.5 million in unpaid wages handed back to workers who challenged employers ”.